Whether you’re building a new home or updating a room within it, the perfect shade of paint will make a lasting impression. Finding the right color from a reputable manufacturer and achieving an even, clean application is crucial. At Perfect Painters & More, we’re your local source for interior painting services of all types — including kitchens, bathrooms, living rooms, commercial buildings, and more. Our experts have the training, experience, and products you need to create a more beautiful interior in your home! For a free interior painting quote for your home, contact us by phone or e-mail today! We serve customers in Towson, Baltimore, Ellicott City and areas nearby. Which paint is best for your home’s interior? Mold and moisture resistance: Paints used in “damp” areas are specially formulated to hold up in humid conditions, and will often have antimicrobial properties that will help it resist mildew and bacterial growth. The best paint for the surface: A well-lit area such as a sunroom will need a paint that’s able to hold up to UV rays without fading its colors, while a semigloss paint is ideal for doors, windows, trim and shutters — providing added protection and visual appeal. If you’re painting a surface with many imperfections, you’ll find that it’s best complemented by paint that has a matte finish. Paint with acceptable VOC levels: The EPA (Environmental Protection Agency) reports that most conventional paints and coatings contain Volatile Organic Compounds (VOC’s) that can be dangerous to your health. An experienced painting company will be able to advise you on the potential health hazards of these chemicals, which products are safest, and how to best manage any VOC risk that may occur. Professional Reputation: A company is best represented by its former clients. Ask to see our references, or schedule a drive-by of a job we completed several years ago with us. Perfect Painters & More also has positive reviews on online ratings sites that are available for you to research. 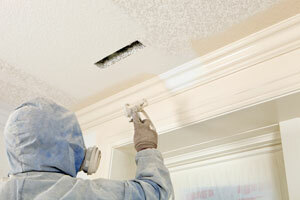 Experience & Training: Perfect Painters & More has experienced tradesmen on hand that are licensed, bonded, and insured. We would never leave your project in the hands of anyone who isn’t 100% qualified for the task ahead. When it comes to painting in Maryland, we’re the experts for you! Our specialists take pride in our knowledge of the industry, our professionalism, and our unbeatable results! We can provide you with an expert consultation, answer any questions you may have, and provide you with a free estimate! To schedule your appointment, contact us by phone or e-mail today! We proudly serve throughout Ellicott City, Towson, Baltimore, Glen Burnie, Columbia, Middle River, Silver Spring, Germantown, Bethesda, Gaithersburg, and many surrounding areas.